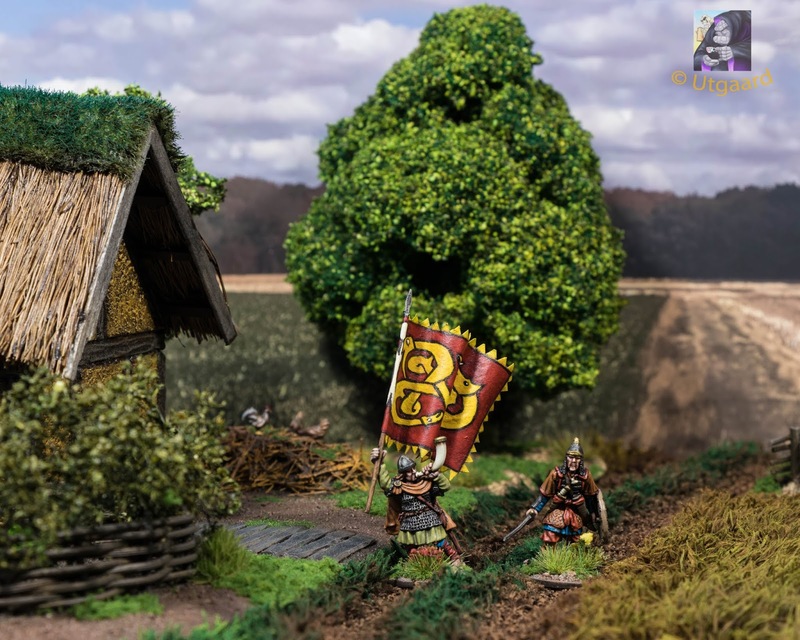 My SAGA begins - 23.12.: Berserkers! 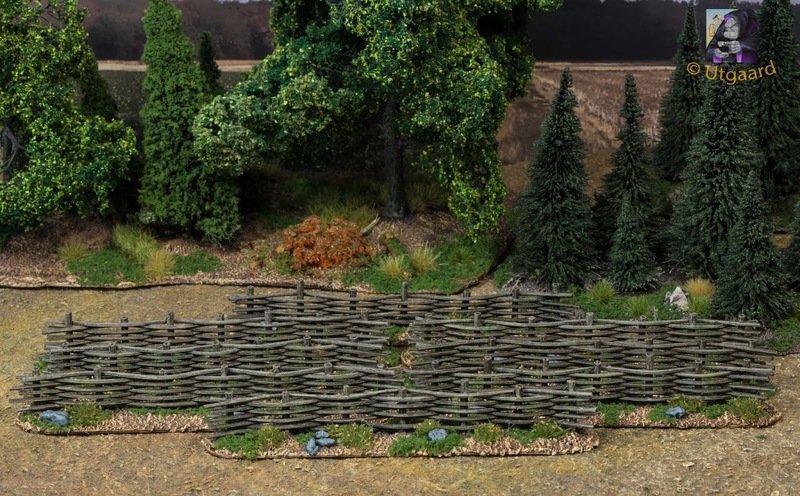 Some more terrain pieces added to my collection - the results of my last weeks together with the longhouse: trees (one can´t have enough of them) and some wattle fences. I will add some more of the latter, especially on piece with a gate. Very nice work . 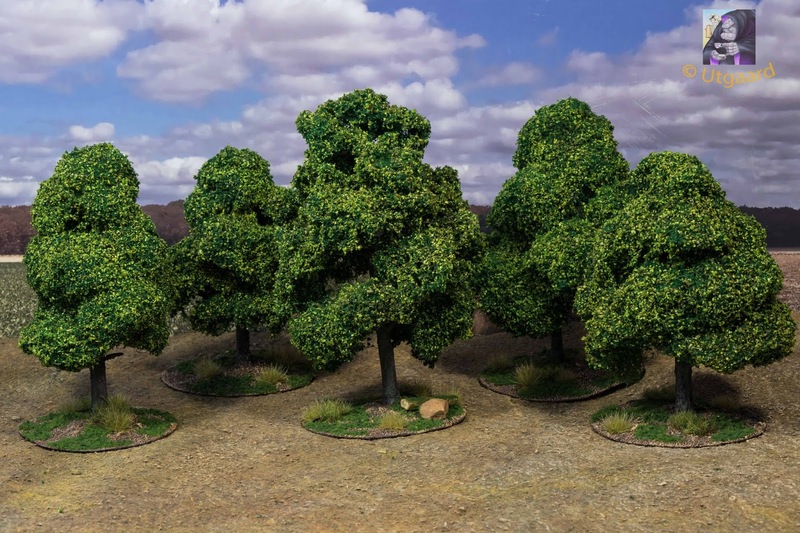 Your trees look great- what are you using for foliage? In agree- I am getting quite a collection these days. 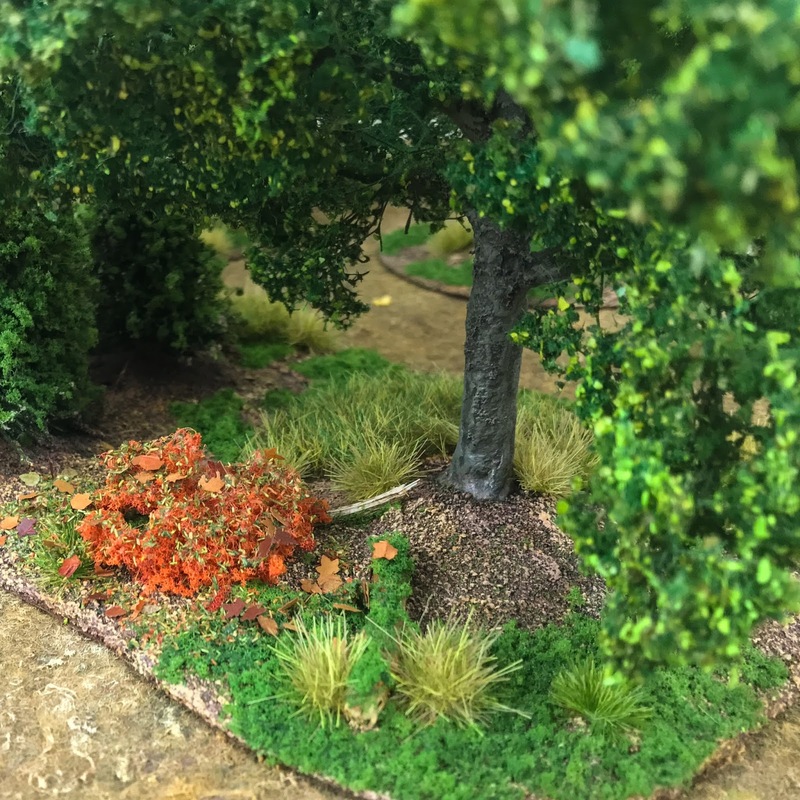 Different foliage in this case - tryed to find out which of my usual methods looks good, is not too time consuming and sturdy enough to withstand the wargame rigids. 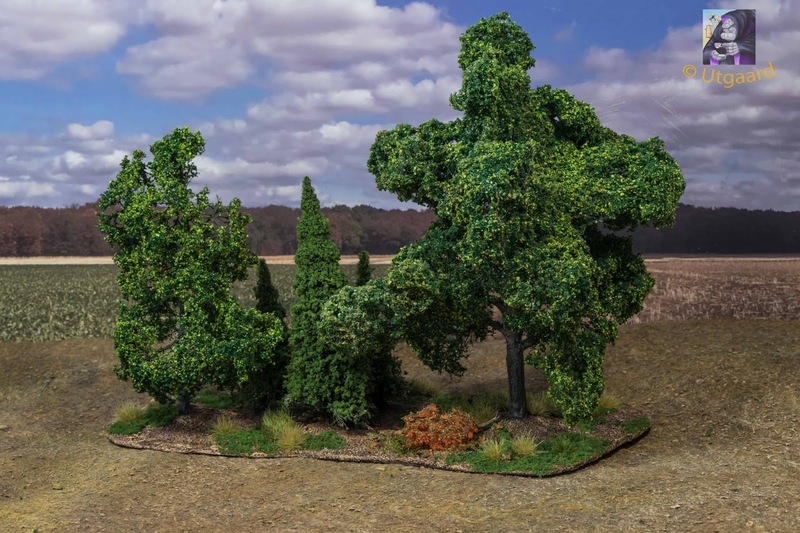 In this case fibre from woodland and different foliage from Woodland, Heki and Silhouette. 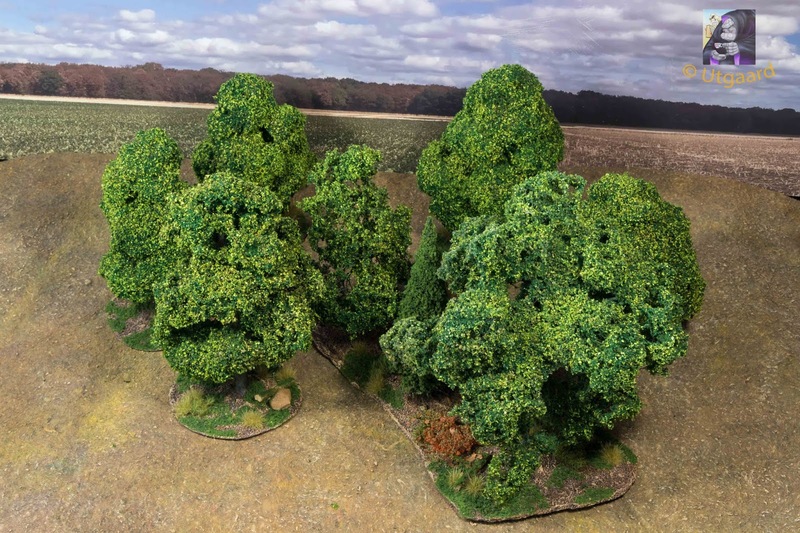 I have adjusted colour and density for all trees for some uniformity of course. I will stick for future trees with Heki and Silhouette. More expensive then Woodland and others, but best looking and reasonable quick. Rowdy, Hostile and Wrong Inc. Very well done. Nothing like a bit of wattle to spike things up. 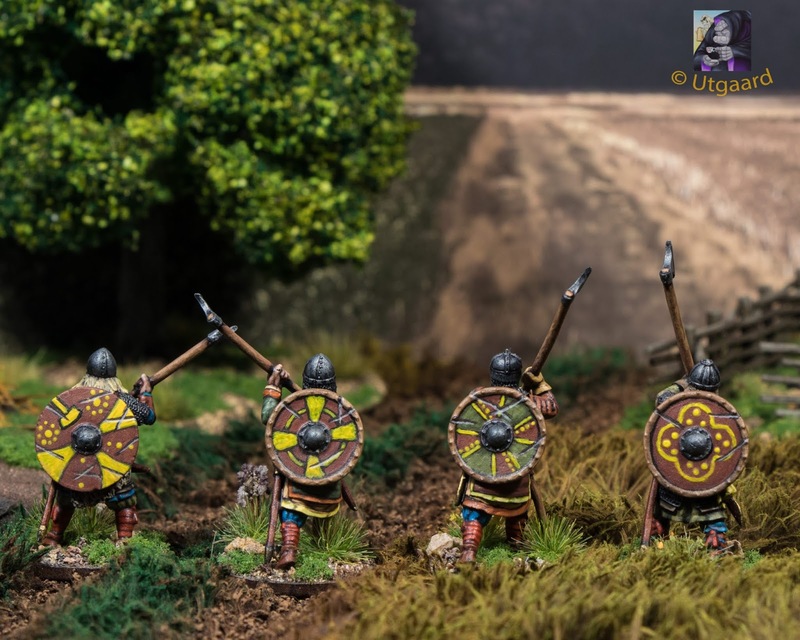 The Warlord for my little force of Gotland Vikings - ready to go on some viking, accompanied not only by his hearthguard, warriors and so on, but his veryx own standard bearer too. They are both based separately so the standard bearer can join a unit but I also made a movement tray to group both together. Shield and flag are both freehands again, with the flag actually based on a motive of a Gotland picture stone. Those are cracking trees, have you posted your technique anywhere? Nicely painted and photographed minis too! 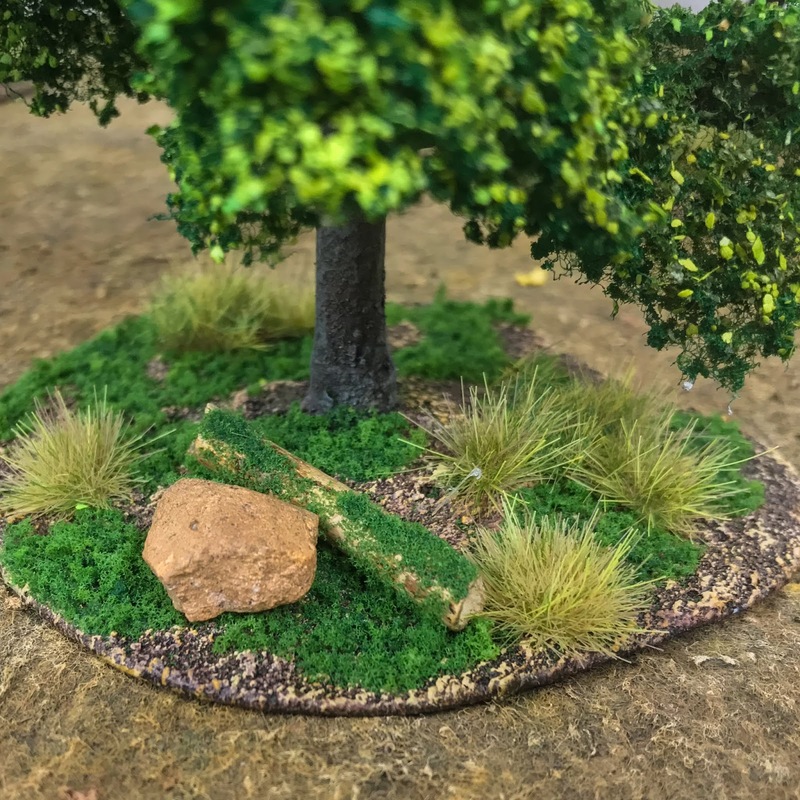 Nice - I made sabot bases for my Warlords so they can have a standard bearer. 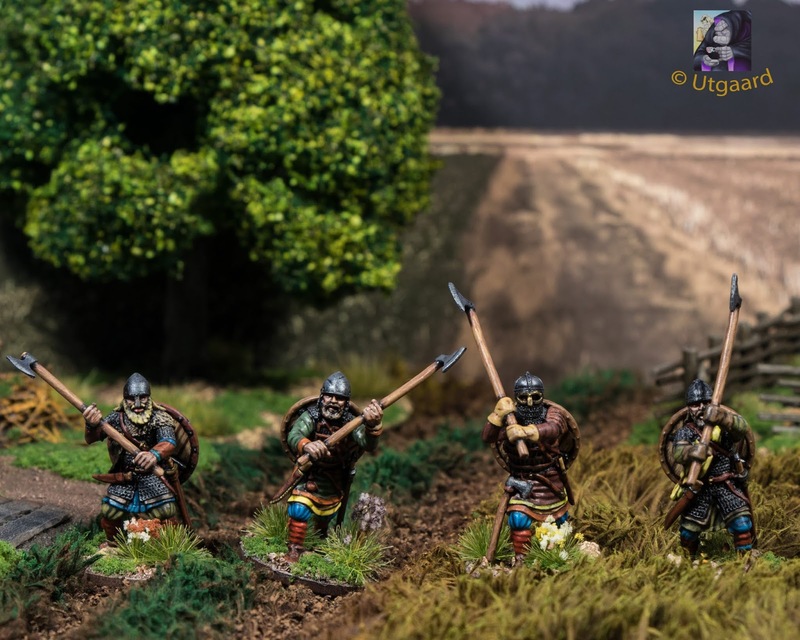 They are on 20mm square bases like all my other Saga chaps, and I have a bunch of circular bases about 45mm across with two holes to fit warlord + standard bearer. 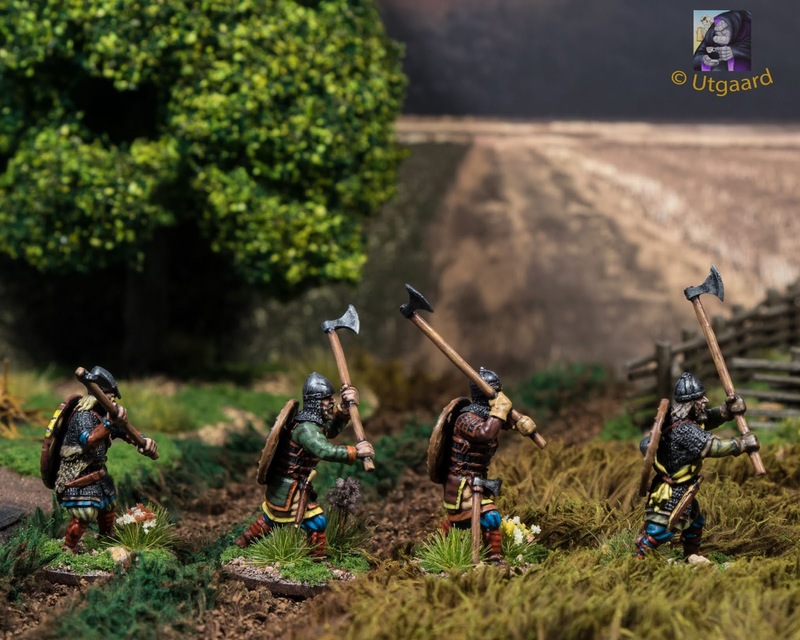 @plessiez: Used different just to see with which one I get quick but good looking results and sturdy enough to be used in wargames and not just for some kinds of dioramas. 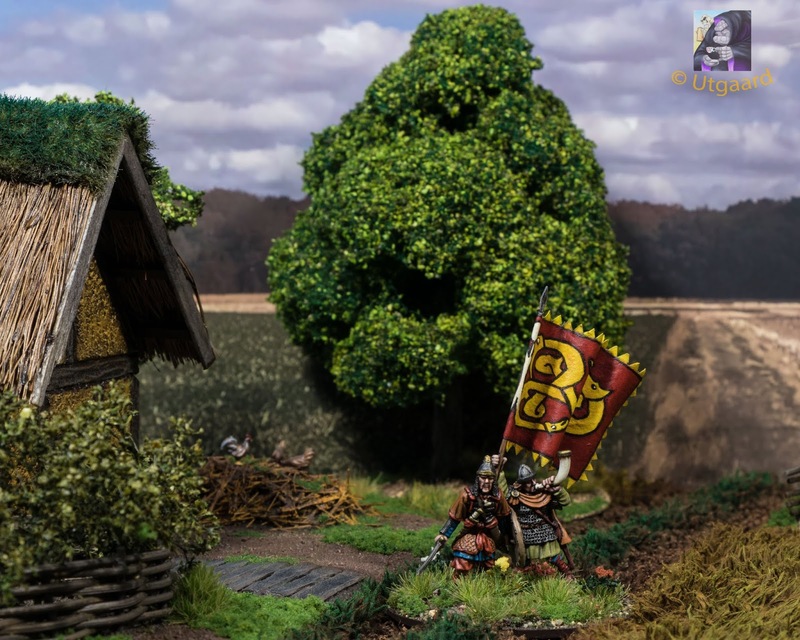 terrain - painted figs - photos, all great. 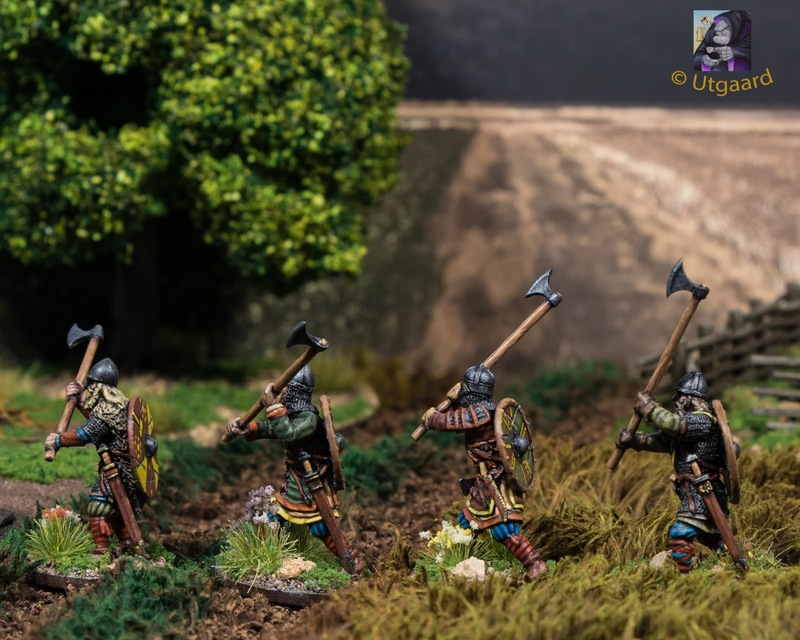 The next point for my force of Gotlanders - 4 Hearthguard with Daneaxes. 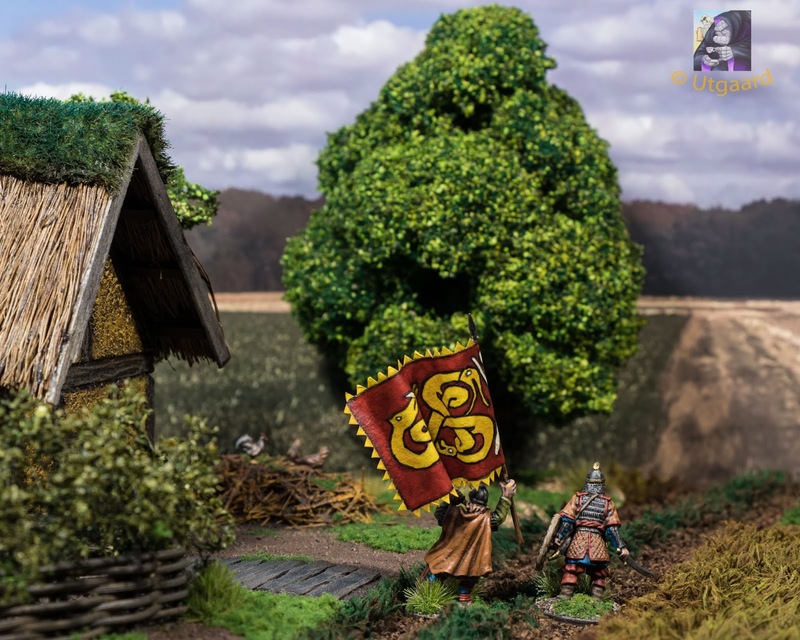 Miniatures are V&V Miniatures, which are just a real joy to paint and are super detailed and well researched. Shields as before all freehand. 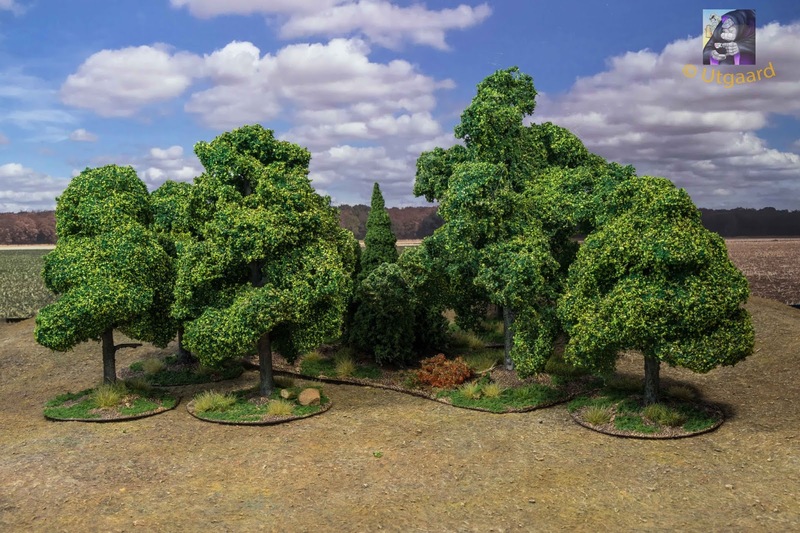 Lovely painting - lush colours and terrain they're in.